The BF60 is all about being the best. The best maneuverability and highest speed in its class. The best fuel economy. Best in class high output charging. And of course, best time out on the water. Available in two versions, the BF60 and the BFP60 Power Thrust offer powerful performance and exhilarating acceleration. 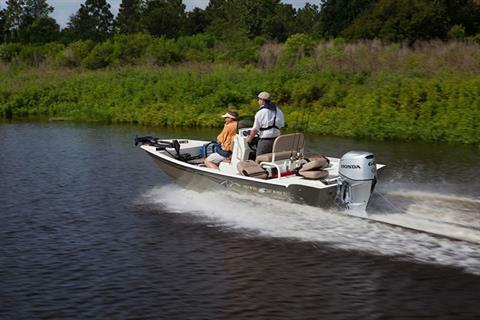 The BFP60 offers a unique gear case and larger propeller that’s ideal for pontoons and larger hulled boats. Both versions offer Easy Dock Steering. 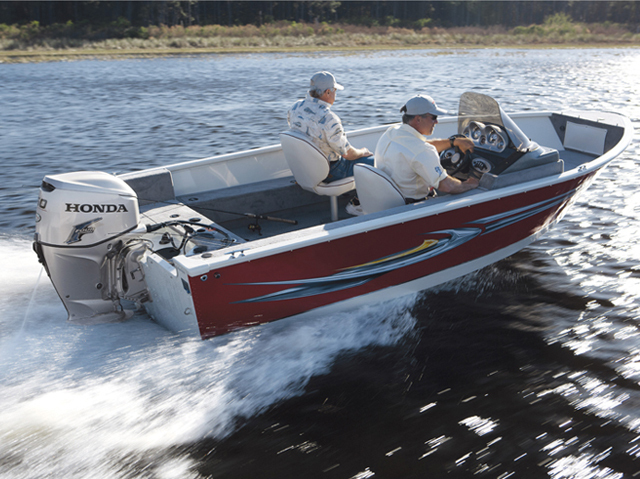 This exclusive Honda feature takes the anxiety out of maneuvering your boat into the marina. Add in features like BLAST, Programmable Fuel Injection, a high performance heavy-duty gear case, Lean Burn Control, and variable speed trolling, and you’ve got a legendary motor that’s truly best in class. EASY DOCK STEERING® - EXCEPTIONAL MANEUVERABILITY: Easy Dock Steering® takes the anxiety out of maneuvering your pontoon boat around the marina. No other mid-size motor has this degree of manueverability! The BF60 Tiller and all Power Thrust BFP60 models offer a full 50 degrees of steering to port and again to starboard. Or choose the BF60 remote with a full 30 degrees. 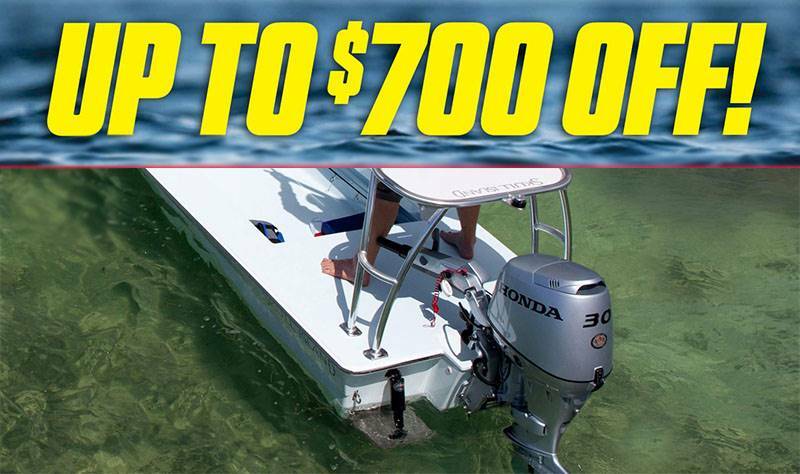 Either way, you'll find that parking your boat has just become a whole lot easier. LEAN BURN CONTROL® - SUPERIOR FUEL EFFICIENCY: Lean Burn Control® increases fuel efficiency by allowing combustion to operate on a leaner air/fuel mixture. At cruising speed, this engine runs on up to 10% less fuel* than others in its class. *Based on EPA Specific Fuel Consumption Mode. 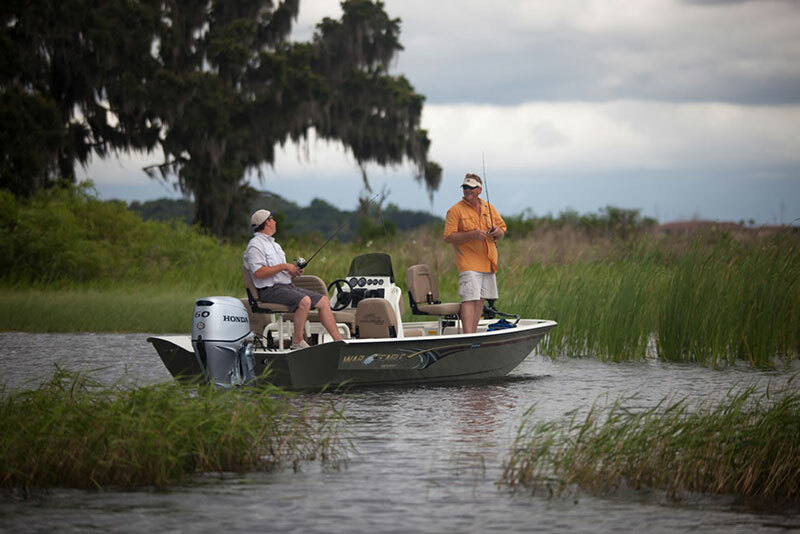 VARIABLE SPEED TROLLING - IDEAL FOR SLOW TROLLING: For fisherman who want to slow troll, Honda's variable speed control is the right fit. The system adjusts in 50 RPM increments between 750 RPM and 1000 RPM. Variable speed control is standard on the tiller models and optional on remote models. ENGINE ALERT SYSTEM - KEEPS YOU INFORMED: Audio and visual cues combine with RPM reduction circuits to alert the operator of overheating, low oil PSI and over-revving to prevent engine damage. MIKUNI® INTAKE SYSTEM: The lightweight Mikuni® long tube intake track system helps build low end torque. LIGHTWEIGHT: Starting at only 239 lbs., the BF60 is one of the lightest motors in its class. It's perfect for pontoons and fishing boats. 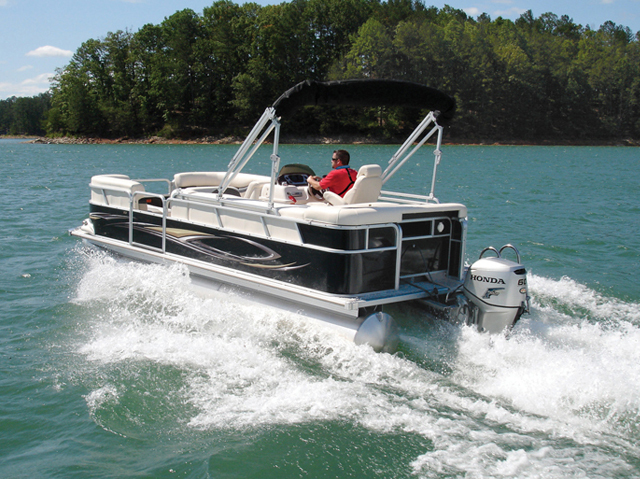 OPTIONAL CONVENIENCES - TILT LIMIT SWITCH AND RUDDER ANGLE INDICATOR: An optional tilt limit switch keeps the motor from rubbing against the bottom of a pontoon boat's sun deck. The dash mounted rudder angle indicator keeps the captain informed to which direction the engine is pointing.